We play a game with my mom’s side of the family each Christmas called “Sneaky Santa.” Everyone brings a wrapped gift from his/her home. The presentation can be deceiving – the beautifully box with matching ribbon could be a set of shop towels or the huge gift bag could be a votive candle. It is difficult to distinguish what treasure is hidden beneath the wrapping. The same idea is true in our lives as well. Many times God uses challenging circumstances – ugly wrapping – to bring about some of life’s greatest gifts. The best example for me would have been my divorce. It was a very dark time for my three kids and me. I couldn’t understand why I was having to go through this, let alone how anything good could come from it. Little did I know that rumpled up, torn time in my life God was going to bring about the most incredible gift – my husband, Mitch. I, honestly, didn’t think any man would be interested in me with three small children. But God had everything taken care of. When Mitch volunteered to help us move before ever meeting face-to-face, I know he was something special. It certainly wasn’t the first impression I was hoping to give – loads of boxes, toys and dirt hiding behind and underneath furniture, but I needed the help and he volunteered. I will never forget the way my heart jumped when he pulled up that day. God brought everything I was looking for and so much more right to my doorstep. Dear friend, I want you to know that if you are walking in a valley right now, God is right next to you every step of the way. He will work it out for good. Just trust Him and remember that some of the greatest gifts in life come in the most unlikely packages. What about you, how has God used a challenging time in your life to bring about something good? That hit so close to home it tipped me over! Here I am divorced 3 years, just ended a 1 year relationship, that I did not want to end. With this study, and a nudge from God I knew it would have to end. I have know for a long time. So here I am divorced 3 times, all of them cheated. I’m at my lowest point. I know God is here and he is carrying me, I hope someday, he will send my the one He know is right for me. For know I draw closer, I cry sometimes less each day. This study has been a very good one and an incredibly hard one to do. Jess, I am praying for you. I know how difficult this time is. May God wrap His loving arms around you today and you feel His love in a mighty way. He will bring you through this dark time. I am so glad that God is working through this study. It is not easy to say Yes to God, but He will bless your commitment to Him. Hi Jamy! I would have to say my depression and suicide attempt brought me closer to God. After my move for my husbsnd’s job, I just felt down in the dumps. I’m unemployed, 10 hours away from anything familiar, and facing a life changing surgery. All faith and hope was gone. I gave up. It’s a miracle that I survived, but God had a greater plan more me! He was waiting there where I left Him. He led me to an awesome church where I’m growing, and even got baptized! But, satan is trying to creep back in. I still do not have a job. My husband is stressed about money, but he has never blamed me for not working. I blame myself. We had to sell our second vehicle because we just couldn’t afford to keep it on one salary. That guilt starts turning to anger because I had a great job, but had to give it up for my husband’s job in a new city. I feel its his fault because we had to move. This morning I’m angry, sad, and ready to leave my marriage. I love your family’s gift exchange. I think I should employ something similar in our home to teach that you cannot judge by outside appearance. Good gifts can come in crummy packages. Thank you for your words of encouragement. Reboot post by my Sweet OBS Sister, Jamy Whitaker. It is my prayer that you find hope through her message. Sorry Jamy for my typo. I reblogged your lovely post over to Free to Fly Now. Thank you for sharing this amazing story of hope. Love you Sweet Sister! Thank you, Jamy. God is so amazing. Every day is a challenge for me but I am reminded that God’s mercies NEVER end. They are new every morning. I struggle with several invisible illnesses but the Lord is my portion. I’m not just saying that either. There are days when I am discouraged and I mourn for the things I’ve lost but then I think about all the blessings I would have missed out on if I didn’t have these daily weaknesses to remind me of His strength. I truly believe there is something to be learned in every season of life. Sometimes things don’t happen exactly how we planned but we can take courage in knowing that NOTHING is outside of the Lord’s plans for us. His plans are to prosper and not harm us and I take comfort in that. I love this and the analogy of the gift wrapping! Jamy thank you for sharing your story. It is such a blessing that God knows just what we need and that what the enemy meant for harm God used for good. I can so relate. Love you girl. I loved your post. We play that game at Christmas, too! Each year I pick the pretties packages and each year I get the worst gift. You would think I would learn my lesson by now. My challenge is my son. He is 14 and has behavioral issues. We’ve been in counseling since he was 6 years old and nothing has ever helped him. Instead of getting frustrated and confused I decided to go back to school and learn more about kids like him. I recently finished my classes in psychology, and am now just waiting on my internship. I feel the Lord led me down this path due to the challenges of my son. Hopefully I can serve Him while helping others. Oh wow! Great post! 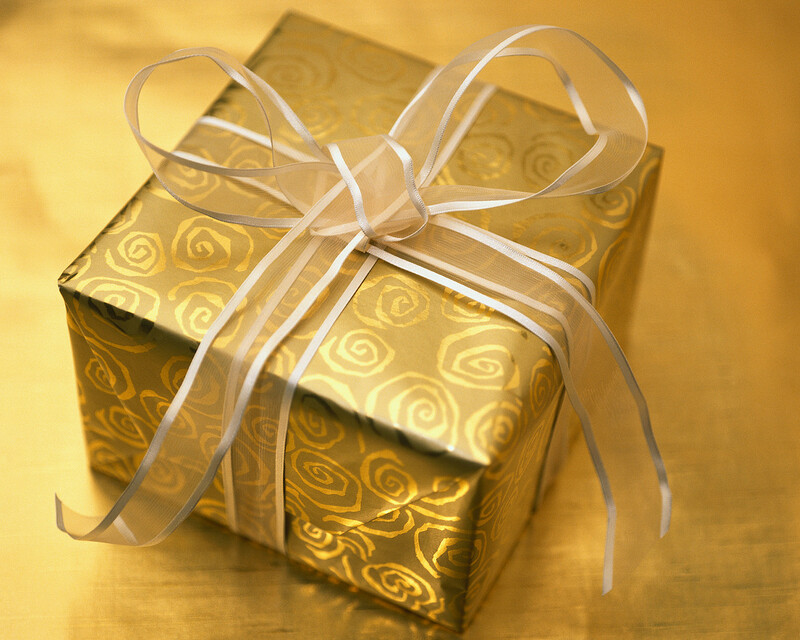 I love the image of ugly wrapping covering a precious gift! Let’s not forget – the most precious gift of all was hidden away in a stable!